By integrating your call management applications with Zoho CRM, your team can have?the CRM context on every call. Stop wasting time dialing phone numbers and make calls from right inside Zoho CRM. 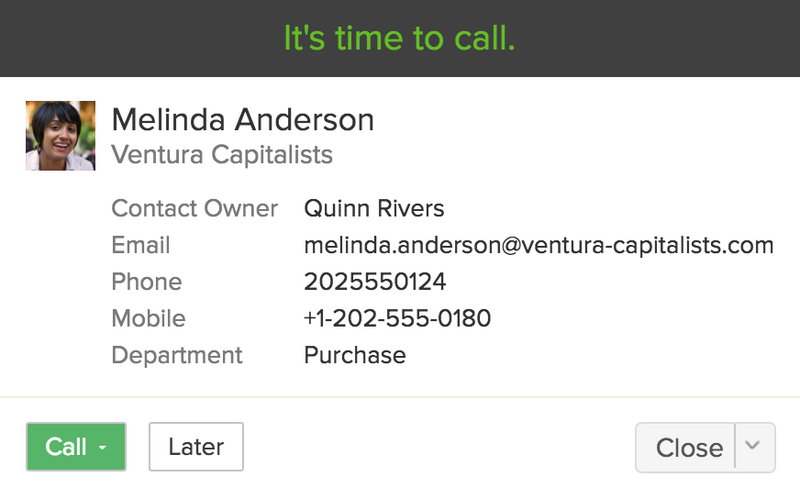 While you're looking at any of your leads or contacts, just click the call icon to?start a call. Between monitoring multiple deals and having to get dozens of tasks done, it's hard to keep track of?each?call you need to make. With?the telephony feature's prompt reminders of your upcoming calls,?you'll?never miss?out on them. Even if you have hundreds of customers, you can greet them all by name when you connect your phones with CRM. ?Start building customer?relationships by seeing past conversations, notes, and tasks associated with each customer. Automatic call logging makes manual?data entry a thing of the past. 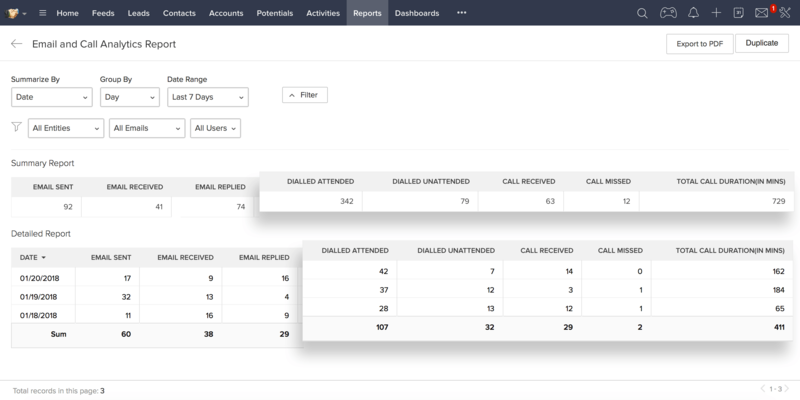 Use the call pop-up window to add notes, create follow-up tasks, or assign the contact you spoke?with to a sales rep.
Measure your sales team's performance and motivate them to improve with call analytics. Built-in charts and reports let you visualize your call data, and help you figure out how to provide a better customer experience. 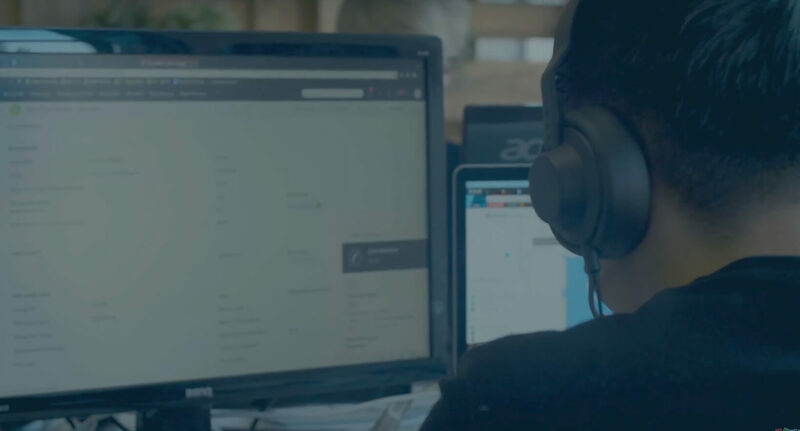 "How Locafox uses Telephony in Zoho CRM for effective selling"
Zoho CRM comes fully integrated with several popular PBX and call management providers including Twilio, RingCentral, Ring.io, Ozonetel, Knowlarity, Promero, and more. 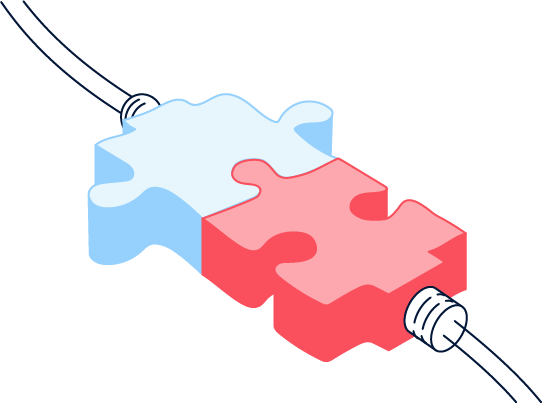 looking to integrate with Zoho CRM?